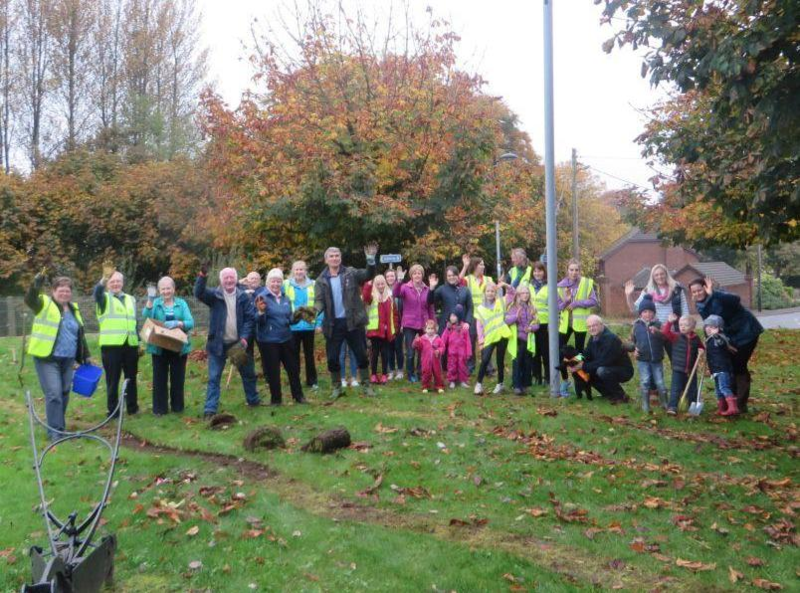 Ballynure residents turned out in style on Monday 31st October 2016, to support Newtownabbey Rotary Club's "Purple 4 Polio" crocus planting event in their area. 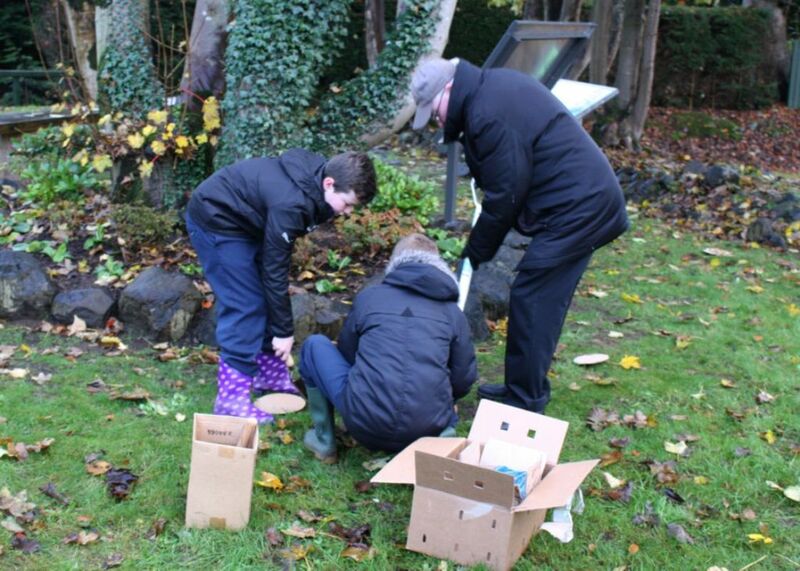 About thirty volunteers of all ages, including the young folk from Ballynure Playgroup along with Cllr John Scott (Mayor of Antrim & Newtownabbey Borough) came along to help plant the 12,000 crocus corms in their community grounds. The aim of the campaign is to create awareness of Rotary's efforts to eradicate Polio throughout the world. 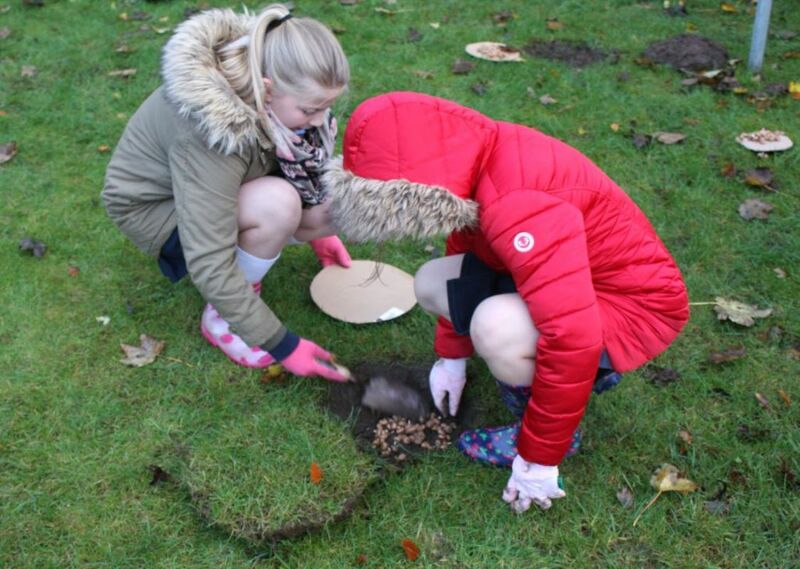 The purple crocuses symbolise the millions of people around the world already vaccinated against Polio, through the work of Rotary and the World Health Organisation. Why the colour 'Purple'? It is the colour of the ink dye used by the vaccinators to mark the little finger of each child who has been immunised. 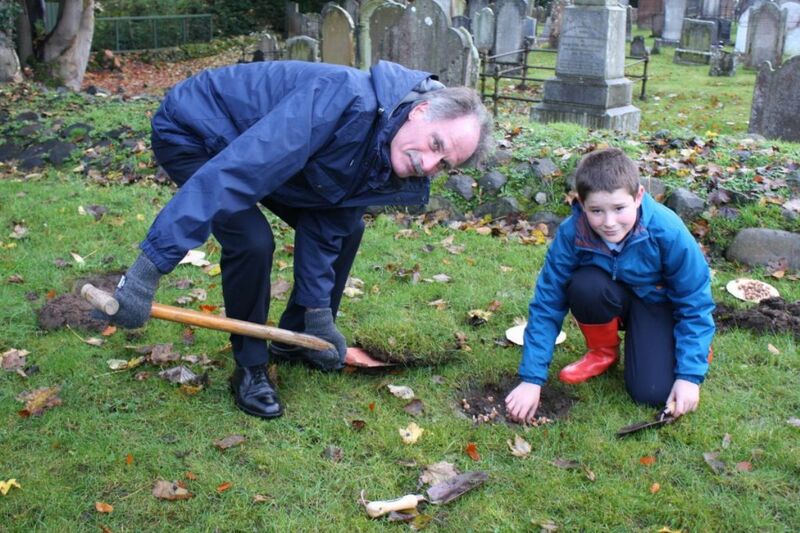 The Rotary Foundation (Rotary charitable arm) aims to have planted six million crocuses throughout Great Britain and Ireland this year and is running the campaign with the support of the Royal Horticultural Society. 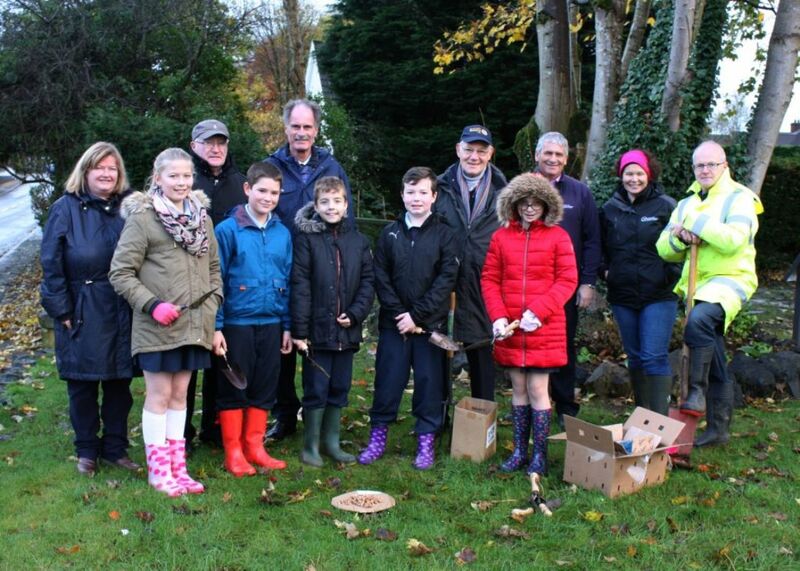 The crocuses for the Ballynure initiative were made available through the generous sponsorship of Ballynure & District Friendship Club, Ballynure & District Community Association and Naomi Bridal of Ballyclare.